After spending 14 years with BarclayCard and Barclay's Bank, Paul Barclay took up a position in sales and account management at payment trust TrustMarque. 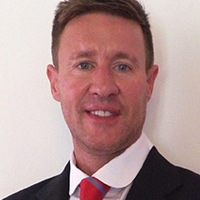 In 1998 Barclay joined payment processing company WorldPay, where he led the delivery of a number of business critical projects and aided the launch and development of the Royal Bank of Scotland and Worldpay's global regulated gambling offering. Barclay stayed with WorldPay for nine years until 2013, when he joined global e-commerce business Skrill. Today he is vice president of leisure, entertainment and technology for the firm.